This is the first book I have read in this series, but I didn’t feel I missed out in any way. The story stands alone, although I would still like to read the others in their correct order. I have read a number of books by these authors, but it is the first time I have read one written by them both, and I highly recommend their approach. In this story, the youngest son, Doug, has left home for college in a town some miles away. As so often happens, he also turns his back on the faith of his parents, and he gets into a group of friends who enjoy parties and loose living. His relationship with Christine, his parents lodger and a good friend from the past, becomes strained, but thanks to her involvement on Facebook, she is aware that he is not living as he should. Initially, his parents avoid confrontation, but eventually things reach crisis point, and difficult decisions have to be made. I love the way the story brings out family values as well as the tough decisions that parents sometimes have to make. I also appreciate the way the characters are real people. Even the father, who is a real Spiritual rock, shows himself to be truly human when his son’s behavior causes him to say things he hadn’t intended. 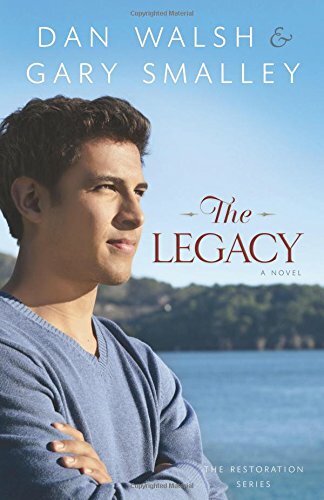 The Legacy is a first rate story for parents as well as young people as they absorb Spiritual truths through reading about a fictional family. I don’t hesitate to give this book 5 stars.